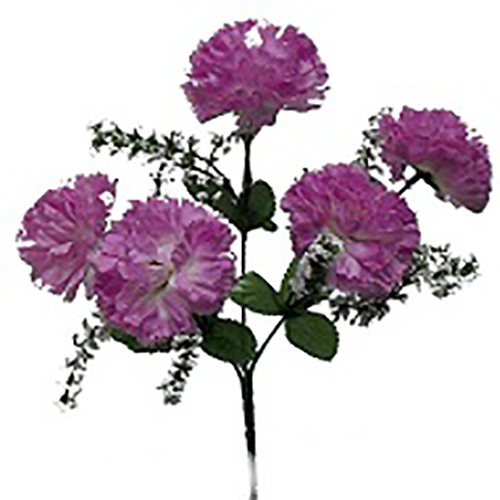 Stunningly beautiful, this 12.5" silk carnation flower bush is designed to be inserted into a medium and resemble a real plant. The flowers can be used in a variety of floral arrangements either on their own or blended with other types of flowers, greenery and fruits. Let your imagination and creativity run wild with our faux flower bushes as you explore a multitude of stunning floral centerpieces.